Featuring the mischievous elves from the original, Blue Zoo's seasonal sequel No More Stuff was produced in record time using the world’s fastest production-quality, GPU-accelerated renderer Redshift. 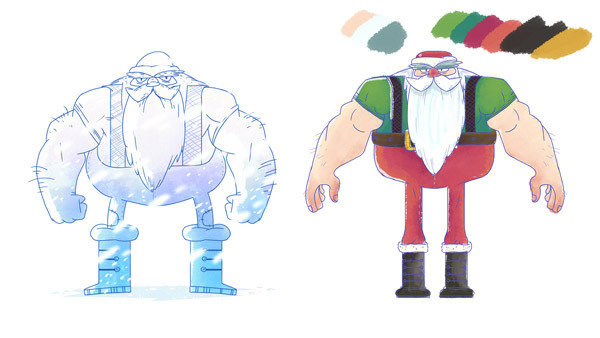 BAFTA Award-winning animation studio Blue Zoo has delivered a follow-up to its hugely popular 2015 Christmas short More Stuff. Featuring the mischievous elves from the original, the seasonal sequel No More Stuff was produced using the world’s fastest production-quality, GPU-accelerated renderer Redshift. 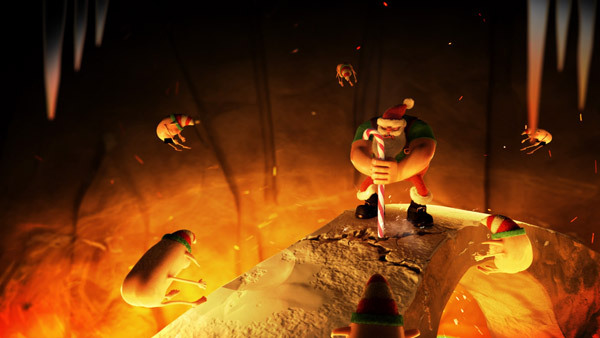 Using the explosive action flick trailer format, No More Stuff sees a vengeful Santa Claus return to enact revenge on his workshop staff, following the elves’ musical mockery of Christmastime extravagance. Last year’s short was awarded a Vimeo Staff Pick and collected a variety of industry awards. The follow-up is even more action-packed, harnessing the power of Redshift’s biased rendering toolset to deliver everything a sequel should be: bigger, badder, and better! Impressively, Blue Zoo achieved this on an incredibly tight schedule, turning No More Stuff around within four weeks—half the amount of time spent on the original short. This allowed Blue Zoo were able to render 50,000 frames overnight!